Bonus mission from Royal Navy Crate. Should it have camo or not? I don't think any of the prior missions for tech tree ships had the premium camo provided. There may be some event later on where they offer it but normally you have to buy it yourself. Acasta is a tech tree ship, not a premium ship. 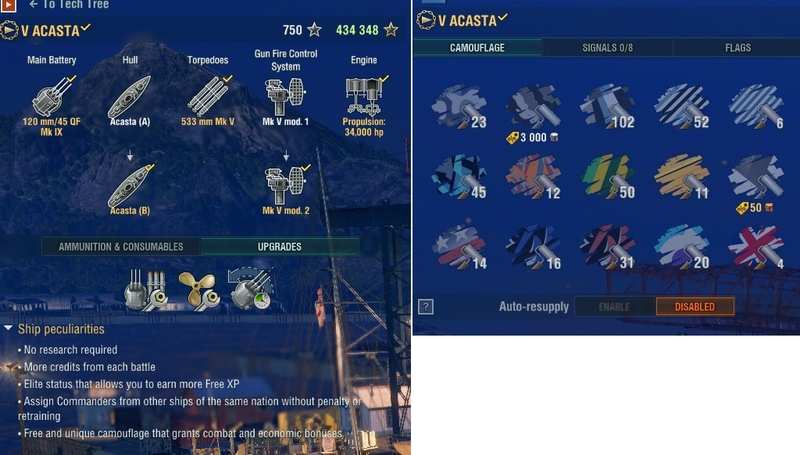 Most of the tech tree ships at tier 5 do not have premium camo, and I doubt Acasta will ever get one. Ahh sorry didn't realize she was a tier 5. Yeah most tier 5s don't even have a permanent camo available to use. Not sure if Icarus, Jervis and Lightning will have perma camo before the RN DD line is introduced though. If the last tech tree giveaway is any clue, then no they won't come with camo. I got the Lyon thru missions and had to buy the camo for it. Same thing with Normandie, bought camo for it because I was a moron and forgot about the camo design contest for it. I think that was the exception though, probably not happening again. Ok, I have to ask. What is a tech tree ship and how is that different from a premium ship? Tech Tree ships are earned by XP and follow the tier progression of ships of a single nation. 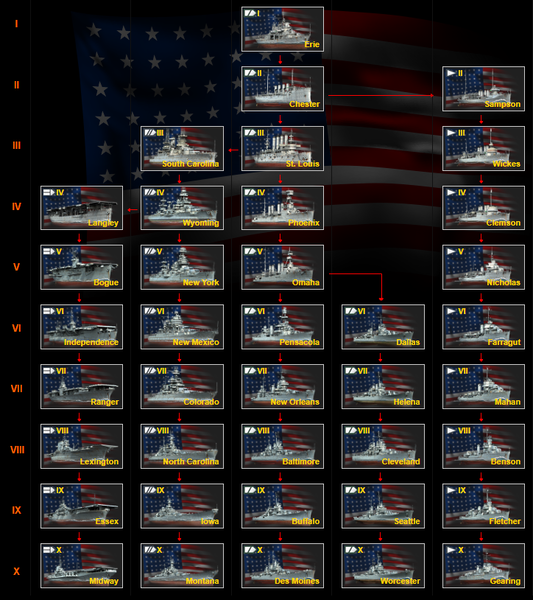 This is the US tech tree. All of this ships can be unlocked and purchased just by playing the game. 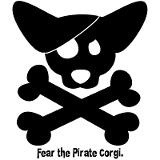 Premium ships can be unlocked with doubloons, or by purchese w/ real money in the Premium shop. 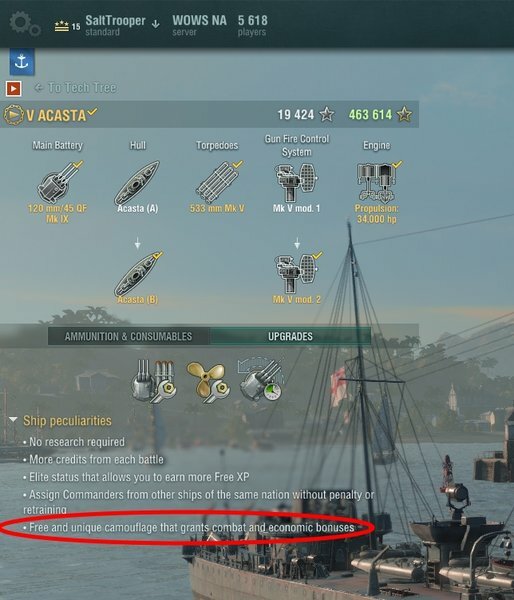 Premium ships have perks such as increased XP, and the ability to train commanders for no charge. Here are the US Premiums.. Some premiums are "Reward" ships, that can only be obtained by completing certain missions, or events. Can we derail for a second and talk about the Salem Witch?...... Can i get? How i get? Whats the deal with it? 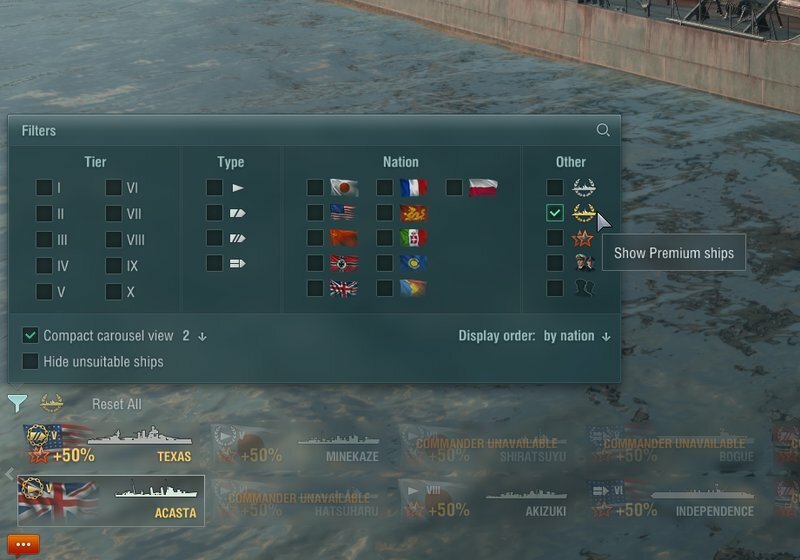 You can purchase the Salem with 240k coal in the Arsenal; using the 25% ship coupon it is 180k It was originally a (clan battles?) reward ship. (I just bought one a couple of days ago). Do you recommend the Salem over the Japanese BB in Arsenal? i would hesitate to say, but I was saving for the Musashi originally. When my coal started shooting up, I realized the Salem was within reach and decided to get that first - somewhat to get the free T10 SC. Along with that, I had 830k Free XP at that time and could get the Musashi with Free XP. I finished the Worchester and Donskoi with Free XP, but will easily make that up in a few days with Operation Dynamo. So, my real answer is that I am going to get both. With Salem only available with coal, I used coal for it and will use Free XP for Musashi. As a Cruiser/DD main, Musashi won;t get out much and will be keeping Mo company in port. I like playing the Yamato on the PTS, but have no wish to keep grinding up to her on the Tech Tree, so Musashi is my only option. The Salem Witch is an "monster ship" for a event and doubt that it will ever be available for players to use. Course I could be wrong, there is no telling what is in store for the game. I forgot to add that playing a slow moving fortress is not my preferred play style, so the only attraction of the Musashi is being able to overmatch every ship and get troll salvos. The Salem, on the other hand, has a monster heal which will allow me to drive her like a more aggressive Des Moines - my preferred style of aggressive play. Honestly I was worried buying the ship. 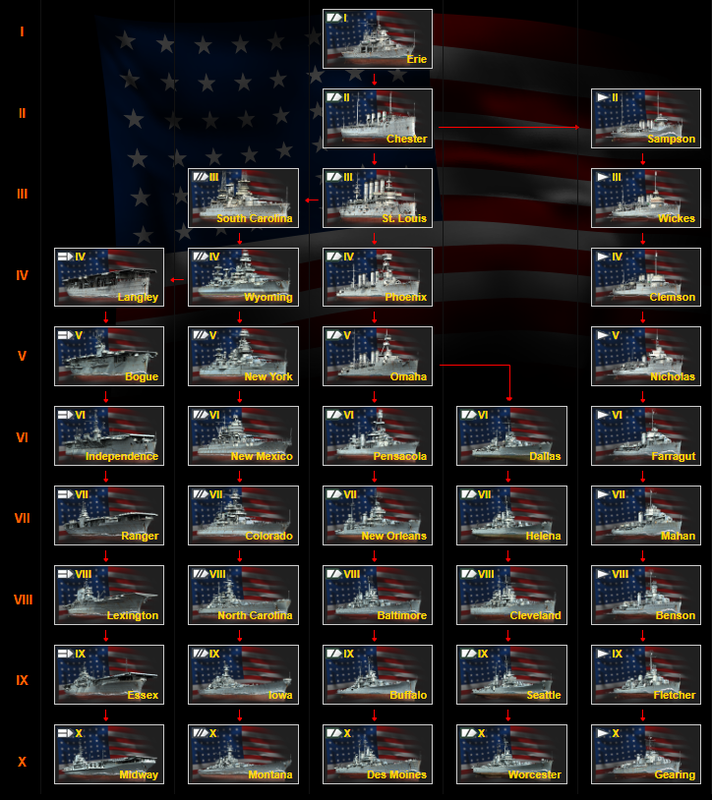 I had the USN heavy cruisers up to Baltimore and I was totally "meh" about the line. I even had the Indianapolis and rarely played her. After pondering it a long while and listening to smarter people than me, I took the plunge. Often after I buy a ship, I get buyers remorse... Not with Salem. She really is a super fun ship to play and I have been having a blast. Her rate of fire is good, the heal is really nice, and she is quite agile. I use her only in co-op since I am a potato but where I will lose credits playing tier 8 and 9 cruisers unless I have a good game, the Salem makes me credits even when I have a terrible match. That is unheard of in co-op with higher tiered ships. The one caution is she NEEDS a heavy cruiser captain with the right skills. My light cruiser captain did ok but once I put my Halsey captain spec'd for heavies, she became one of my favorite boats. If you like cruisers and cruiser play, you will appreciate the ship. 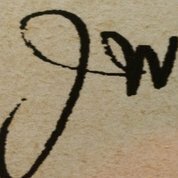 Information like that is only revealed very, very close to the event in WOWS world. IIRC, they could not be purchased directly last year. I got all of muine from Halloween crates. I have some of these camos but the one im talking about looks like the Fujin camo on a Salem. I'm thinking we will be able to get them from crates like last year. Yeah the Salem Witch camo is pretty cool. One reason it probably hasn't been offered in crates or for sale is the Salem was not in the game for players at that time. Now that she is, the Witch skin may make it into the game. Keep your fingers crossed! I can confirm, no free camo with these. What does "Free and unique camouflage that grants combat and economic bonuses" mean? 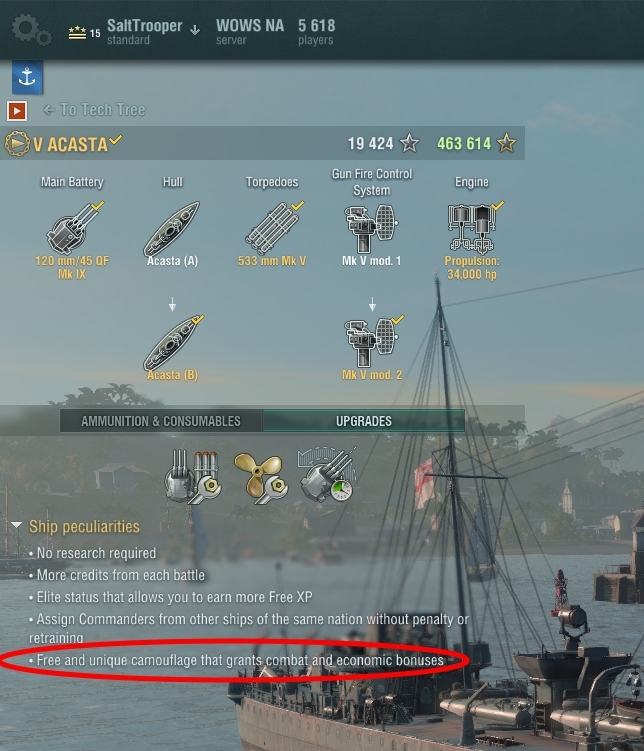 WOWS says it is a premium.